Hells Wives take the win for the first home game of the season! It’s been a busy couple of months as we catch up with the latest from Hells Wives! On the 13th of June we took on Mount Militia Derby Crew’s B Company in our annual match up which also doubled as our first home game of the season, and it was a resounding win to us 394-153! We also had our Juniors play their first home game with a little help from their derby cuzzies from HRG Monstar Squad who came up to make up numbers. 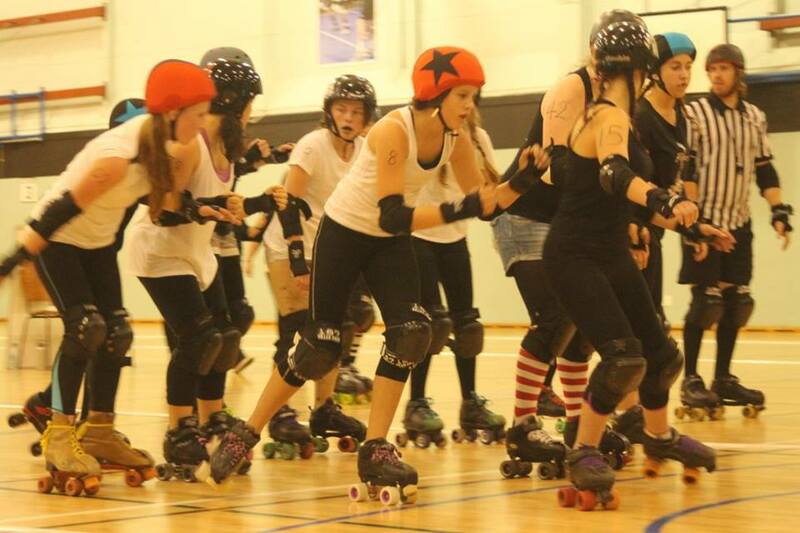 It’s awesome to see the interest in Junior Roller Derby really starting to take off and we look forward to having Junior guest skaters from other Junior leagues come up and join in! Next game is down in Auckland on the 6th of June when we take on our friends and rivals ARDL at YMCA Pitt Street! You don’t wanna miss this battle and to make it even better: It’s FREE! This entry was posted on June 1, 2015 by nnderby. It was filed under EVENTS! .